The past and the present. Fiction and fact. The told and the untold. All have ways of merging and blending, of blurring the landscapes of our modern Canadian life. From the Battle of the Somme to the reflections of an elderly athlete, Canadian storytellers remind us how we’re shaped not only by our contemporary lives, but by the past of our country. Hosted and moderated by Brian Francis. Brian Francis’ most recent novel, Natural Order, was selected by the Toronto Star, Kobo and Georgia Straight as a Best Book of 2011. His first novel, Fruit, was a 2009 Canada Reads finalist. Joseph Kertes was born in Hungary, but escaped with his family to Canada after the revolution of 1956. His first novel, Winter Tulips, won the Stephen Leacock Award for Humour. His third novel, Gratitude, won a Canadian Jewish Book Award and the U.S. National Jewish Book Award for Fiction. Kertes founded Humber College’s distinguished creative writing and comedy programmes, and is currently the dean of creative and performing arts. He presents The Afterlife of Stars. An intimate and compelling novel of revolution and family, it is about fathers and sons and the tearing down of idols. Onsdag 21 augusti kl. 19.00 berättar Aino Trosell om sin nya roman En egen strand på Orminge bibliotek i Nacka. Hon kommer även att berätta om hela sitt trettiofemåriga författarskap, som är mycket nära knutet till hennes personliga livsresa. Efter författarframträdandet sker signering av En egen strand. Robert Anson Heinlein was born in July 1907, in Missouri. A military career was ended by tuberculosis in 1934. After a brief attempt at politics, he became a hugely prolific science fiction author, writing novels and short stories until his death in 1988. Robert A. Heinlein is currently considered a "single author." If one or more works are by a distinct, homonymous authors, go ahead and split the author. 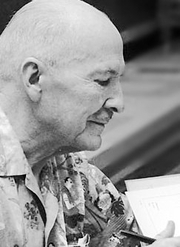 Robert A. Heinlein is composed of 66 names. You can examine and separate out names.